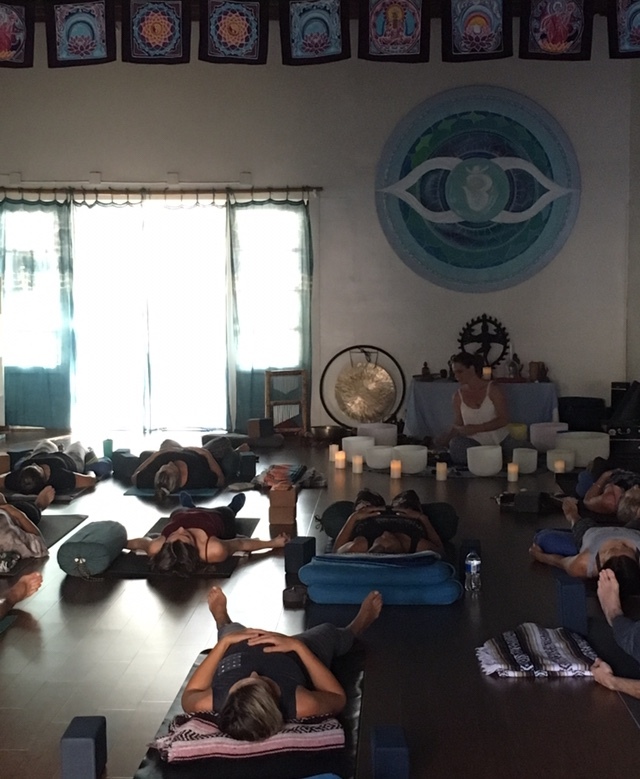 Black Sheep Yoga Studios - Events - Supersonic Surround Sound Bath+Vibrational Massage: The Ultimate Self-Love Experience! Supersonic Surround Sound Bath+Vibrational Massage: The Ultimate Self-Love Experience! Join Sylvia+Andrew Peter (fellow Black Sheep yogis) who are the founders of Inner World Music, for a magical sound current immersion with flutes, didgeridoos,Tibetan+Crystal bowls, gongs and more as they offer this class in the practice of self-less service, Seva, to our studio. Give yourself the gift of deep rest this valentine's day and allow your heart to be filled as you are led on a vibrational journey of sound healing for the ultimate self-love experience!